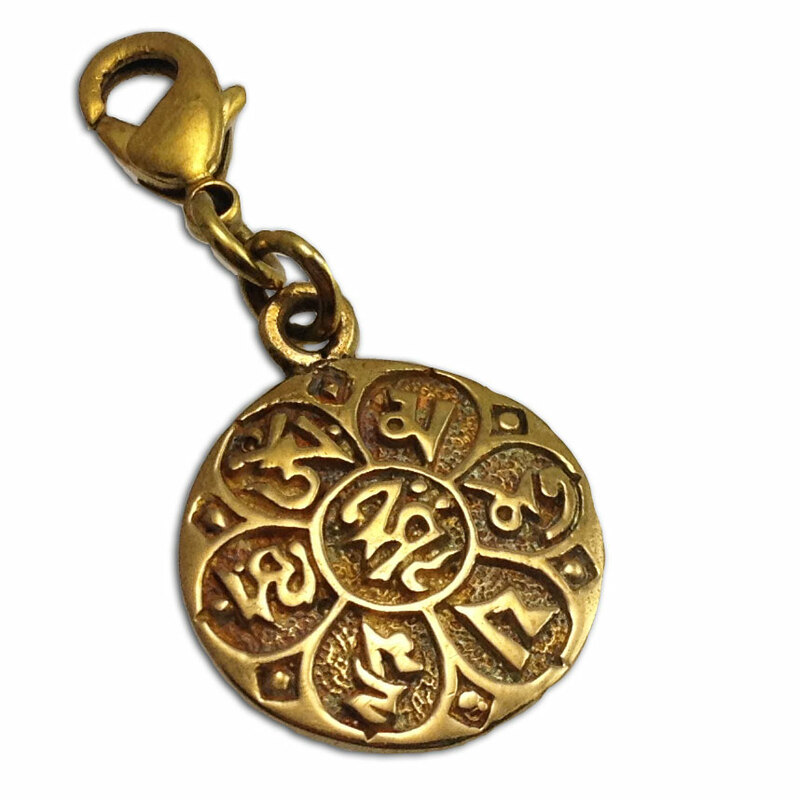 Tiny om mani padme hum charm is made of recycled brass and has a spring clasp. Om mani padme hum is the buddhist mantra of compassion. You can add this charm to most of our necklaces, anklets or bracelets to make your own om mani padme hum jewelry. 1.6 cm + 1 cm clasp, 2.2 g.